Positive news for propolis produced in regions where Poplar trees are common. The antioxidant and anti-inflammatory activity certainly justifies the use of this propolis for many therapeutic benefits, not solely destined for cosmetic use but also nutraceutical advantages. The Populus species possess great potential for therapeutical applications, especially for their known anti-inflammatory properties. The antioxidant properties of propolis, a hive product collected by honey bees mainly from poplar bud exudates, suggest that poplar buds also possess antioxidant properties. 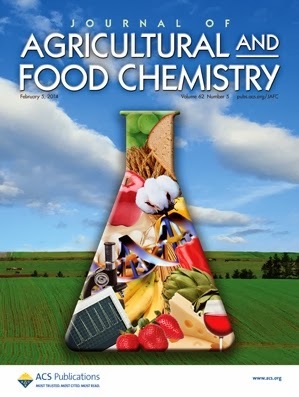 Here is reported the characterization of the antioxidant properties of an aqueous poplar bud (Populus nigra) extract. It presented a high total phenolic content, and moderate antioxidant properties as determined by ORAC assay. The main phenolic compounds identified were phenolic acids and flavonoid aglycons. These phenolic compounds were analyzed by ORAC assay for their individual antioxidant activity, in order to determine the major contributors to the total antioxidant activity of the extract. Thanks to their high antioxidant activity, caffeic and p-coumaric acids were identified as the major antioxidant components. Representing only 3.5% of its dry weight, these compounds represented together about 50% of the total antioxidant activity of the extract. The antioxidant properties of poplar bud extract and the phenolic compounds identified were also analyzed by cellular antioxidant activity assay (CAA), which was weakly correlated with ORAC assay. The transcriptional effect of poplar bud extract on skin aging was evaluated in vitro on a replicative senescence model of normal human dermal fibroblasts, using a customized DNA macroarray specifically designed to investigate skin aging markers. Among the detected genes, poplar bud extract significantly regulated genes involved in antioxidant defenses, inflammatory response and cell renewal. The collective antioxidant properties and transcriptional effect of this extract suggest potential antiaging properties which could be utilized in cosmetic and nutraceutical formulations. Propolis continues to generate surprising results. This new development determined a major component in propolis, CAPE, prevents the production of fat cells. The preventative effects of propolis continue to mount and this anti-obesity aspect will certainly merit future studies. Could this be tied to the epigenetic characteristic of propolis? In the present study, we aimed to investigate anti-obesity effect of CAPE in vivo, and the mechanism by which CAPE regulates body weight in vitro. To confirm anti-obesity effect of CAPE in vivo, mice were fed with a high fat diet (HFD) with different concentrations of CAPE for 5 weeks. CAPE significantly reduced body weight gain and epididymal fat mass in obese mice fed a HFD. In accordance with in vivo results, Oil red O staining results showed that CAPE significantly suppressed MDI-induced adipogenesis of 3T3-L1 preadipocytes. FACS analysis results showed that CAPE delayed MDI-stimulated cell cycle progression, thereby contributing to inhibit mitotic clonal expansion (MCE) which is prerequisite step for adipogenesis. Also, CAPE regulated expression of cyclin D1 and phosphorylation of ERK and Akt which are upstream of cyclin D1. An exciting new study revealing the positive effects of royal jelly on Type 2 Diabetes, which is quite amazing as honey is now recommend for Type 1 diabetics. This is part of a continuing thread in current research consistently showing the preventative effects of bee products on chronic illnesses. It has been proposed that royal jelly has antioxidant properties and may improve oxidative stress and glycemic control. Therefore, we investigated the effects of royal jelly supplementation in diabetic females. In this pilot, parallel design randomized clinical trial, 50 female volunteers with type 2 diabetes were randomly allocated to the supplemented (25, cases) and placebo (25, cases) groups, based on random block procedure produced by Random Allocation Software, given a daily dose of 1,000 mg royal jelly soft gel or placebo, respectively, for 8 weeks. Before and after intervention, glycemic control indices, antioxidant and oxidative stress factors were measured. After royal jelly supplementation, the mean fasting blood glucose decreased remarkably (163.05±42.51 mg/dL vs. 149.68±42.7 mg/dL). Royal jelly supplementation resulted in significant reduction in the mean serum glycosylated hemoglobin levels (8.67%±2.24% vs. 7.05%±1.45%, P=0.001) and significant elevation in the mean insulin concentration (70.28±29.16 pmol/L vs. 86.46±27.50 pmol/L, P=0.01). 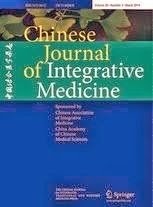 Supplementation significantly increased erythrocyte superoxidase dismutase and glutathione peroxidase activities and decreased malondialdehyde levels (P < 0.05). At the end of study, the mean total antioxidant capacity elevated insignificantly in both groups. On the basis of our findings, it seems that royal jelly supplementation may be beneficial in controlling diabetes outcomes. Further studies with larger sample size are warranted. Honey has been used as food and a traditional medicament since ancient times. However, recently many scientists have been concentrating on the anti-oxidant, anti-proliferative, anti-inflammatory and other properties of honey. In this study, we investigated for the first time an anticancer effect of different honeys from Poland on tumor cell line - glioblastoma multiforme U87MG. Anti-proliferative activity of honeys and its interferences with temozolomide were determined by a cytotoxicity test and DNA binding by [H3]-thymidine incorporation. 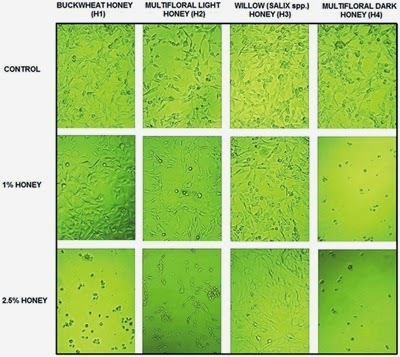 A gelatin zymography was used to conduct an evaluation of metalloproteinases (MMP-2 and MMP-9) expression in U87MG treatment with honey samples. The honeys were previously tested qualitatively (diastase activity, total phenolic content, lead and cadmium content). The data demonstrated that the examined honeys have a potent anti-proliferative effect on U87MG cell line in a time- and dose-dependent manner, being effective at concentrations as low as 0.5% (multifloral light honey - viability 53% after 72 h of incubation). We observed that after 48 h, combining honey with temozolomide showed a significantly higher inhibitory effect than the samples of honey alone. We observed a strong inhibition of MMP-2 and MMP-9 for the tested honeys (from 20 to 56% and from 5 to 58% compared to control, respectively). Our results suggest that Polish honeys have an anti-proliferative and anti-metastatic effect on U87MG cell line. Therefore, natural bee honey can be considered as a promising adjuvant treatment for brain tumors. Major discoveries were made last year in researching Royal Jelly, identifying new proteins and compounds that add to its amazing effects on humans and animals. This study gives it further credibility as an ideal supplement for mature adults, providing tonus and energy, supporting brain functions and now enhancing bone quality. Royal jelly (RJ) is an essential food for queen bees, and it reportedly has estrogen-like activity. The objective of this study was to evaluate the effect of RJ intake on bone quality with a focus on the posttranslational modifications of type I collagen. RJ was fed to ovariectomized (OVX) rats for 12 weeks. RJ intake did not affect OVX-induced reduction in bone volume at the femur epiphysis; however, the reduction of collagen crosslinks (pyridinoline and deoxypyridinoline), which represent an aspect of bone quality, were significantly mitigated. In cultured MC3T3-E1osteoblasts, RJ treatment did not affect cell proliferation, cell differentiation, matrix formation, or mineralization. However, RJ treatment did stimulate expression of plods, which encode lysyl hydroxylase isoforms that control the collagen crosslinking pathway, and it also affected collagen crosslinking. These results indicate that oral intake of RJ could improve bone quality by modulating the posttranslational modification of type I collagen. The rich phenolic compounds in propolis work better together than when separated and fortunately they uncovered this important point in this review. It reinforces other studies defining the anticancer effects of propolis. They describe it as a 'honeybee-produced naturopathic formulation'. 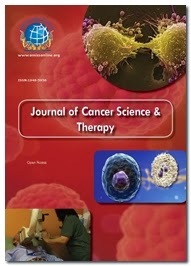 Propolis and its Active Component, Caffeic Acid Phenethyl Ester (CAPE), Modulate Breast Cancer Therapeutic Targets via an Epigenetically Mediated Mechanism of Action. Alternative remedies for cancer treatment is a multi-billion dollar industry. In particular, breast cancer (BC) patients use alternative and natural remedies more frequently than patients with other malignancies. Propolis is an example of a honeybee-produced naturopathic formulation, contents of which differ by geographic location. It is readily available, affordable, and in use safely since ancient times globally. Caffeic acid phenethyl ester (CAPE) is a major active component in propolis and is thought to be responsible for its varied properties, including antibacterial, antiviral, antifungal, antioxidant, anti-inflammatory and anticancer. CAPE is effective in many models of human cancer, including BC as we have previously shown. CAPE affects genes associated with tumor cell growth and survival, angiogenesis and chemoresistance. We demonstrate that these are related in part to CAPE's role as a histone deacetylase inhibitor, a class of drugs designated as epigenetic agents that modulate the activities of oncogenes and tumor suppressor genes. 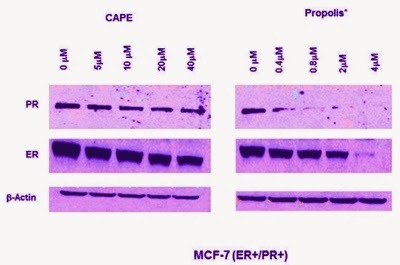 CAPE and propolis, cause an accumulation of acetylated histone proteins in MCF-7 (ER+) and MDA-MB-231 (ER-/PR-/Her2-) cells with associated decreases in ER and PR in MCF-7 cells, and upregulation of ER and decrease in EGFR in MDA-231 cells. In addition, these products reduced activated phosphorylated Her2 protein in SKBR3 (Her2 +) cells. Interestingly, propolis, when normalized for CAPE content, appears to be more potent than CAPE alone similarly to the greater effects of complete foods than isolated components. These data provide a potential mechanistic basis for one of the oldest naturopathic agents used in medicine and cancer treatment. For a complete copy of this review, click here.